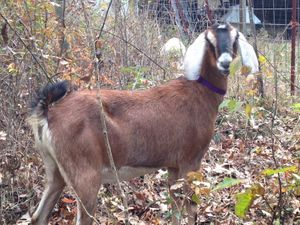 As we develop our herd, we have decided to reduce our Nubians. Several of our foundation does will be available after Appraisal in 2019. Please let us know if there is a doe that you are interested in. One of our Legend daughters, Jennista was one of those does I fell in love with at birth, and every time I spot her in the field, she catches my breath. I’m hoping she is as productive as she is beautiful! Jennista will be bred to Red this fall for late January kids. 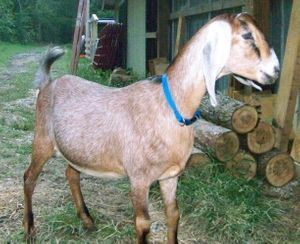 Jaz was a favorite doe of ours. When the opportunity came up to bring back one of her daughters, we jumped! We are looking forward to her freshening and earning her *M status to continue the legacy her dam began. Jonesie came back bred to Wilson-Hills Lula's Wally (pending) and should be due in February. 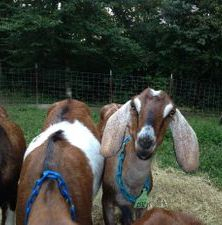 Alizah is one of triplets out of Annabelle. I was excited about this line-breeding on Triumph. And the resulting kids did not disappoint! Alizah is a deep wide kid. I hope she continues to stay this way as she matures. We are looking forward to see her freshen. One of our Legend daughters, and 1 of 3 Judda daughters we have retained in our herd, Josella is a full genetic sister to Jennista. I hadn’t planned on retaining Josella, but as a late kid, I never got around to promoting her. And, since I’m so smitten with her sister, it was an easy decision to hold onto her, too. She is taking her time maturing, so may be kept dry this year. 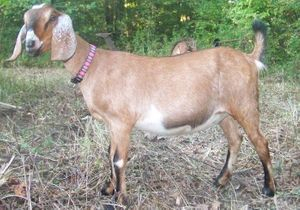 If bred, Josella will be bred to Red this fall for May kids.